Europe is moving to the right. Germany has been the country whose population has put up the longest and most enduring resistance against right extremist ideas. German right wing parties haven’t seen sustained high election results like their counterparts in France, Holland, Denmark, or now in Switzerland, since nationalism and racial fanaticism, which took hold of Germany right from the start, ravaged the entire continent and for decades fostered an international system whose battle lines carved up large portions of the globe, holding it in an iron grip for fear of nuclear escalation. “No more war” is the baptismal slogan of today’s Europe, and in fact the interdependence of free-trading nations in the European Union has largely prevented the emergence of conflicts. That’s all over now; Germany is in turmoil. As all political observers have claimed since the beginning of September, Merkel’s attempt to lull the country through the current crisis has backfired, for there is not an hint of peace and calm left in the nation’s discourse. 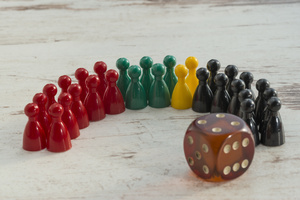 The German chancellor has stringently been following what has only always been the telos–the goal–of the European Union: the overcoming of national sentiment as a distinguishing feature of humans. 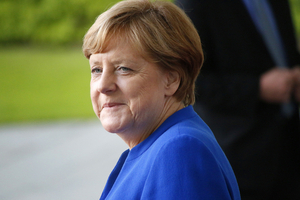 Angela Merkel saw the admission of refugees from a ravaged war zone as a task for her continent, and their ability to tackle this problem would show that Europe lives up to its ideals: a solidary community, united in their obligation to protect human and civil rights, as they’ve been formulated in the West in the 20th century. Europe as a refuge for freedom, a safe haven for the weary and burdened of our time. The European citizen would therefore be a citizen of the world, as Erasmus von Rotterdam envisioned a humanistic Christ (or a Christian humanist) to be a world citizen who followed universal values in a new global ethic. Erasmus’s thoughts were washed away by the Reformation. Will the good intentions of Europe, which have been built up over three generations, now be cast aside? Many people in Germany still agree with the chancellor (which is pleasing) that the refugees should be taken in for a period of time and treated well. But the post-national project, which the EU has always wanted, is being buried under the member state squabbles and mistrust these days. The reintroduction of border controls is only the most visible symptom of a disease that lies much deeper. 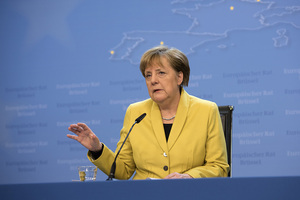 The great German chancellor, so it looks at the moment, is drawing the short straw in the confrontation with her electorate and her party colleagues and, the Bismarck analogy intended, will soon step down from the helm. At the moment Merkel is dependent on the goodwill of the Turkish president, a man who is pulling his country into a civil war because he did not get an absolute majority in the last election. An Islamist who has only used Turkey’s EU admission process to undermine the secularism in his country and impose his idea of Islamic order on the Republic. The chancellor has remained stoically unfazed. To integrate millions of people from a different cultural world into Europe, in her view, would overcome all the nationalism and denominationalism that has dominated the continent for centuries. Because it is indeed true: with the EU, and with overcoming the denominational boundaries (the CDU was a party formed to be exactly that: a party for Catholics and Protestants), the foundations for peace had been laid in Europe, whose benefits its citizens have reaped and been enjoying now for seventy years. The chancellor’s dream was to demonstrate that our values are in fact universally applicable, even if they aren’t applied universally yet. This is a big project, which many citizens in Germany perhaps are even ready take on, but the public administration is totally unprepared. And for a large number of conservatives the task is clearly too much. Bavaria has always been more than Germany. It is not the first time that the rulers of the Free State in the Alpine foothills have held an egocentric worldview, cemented in their “mir san mir” motto (“we are we” in Bavarian). For Germany’s electric grid, it was decided that power lines from north to the south should naturally run through Hessen and Baden-Württemberg, but not through Bavaria, because their state is too beautiful and pristine to spoil. Period. 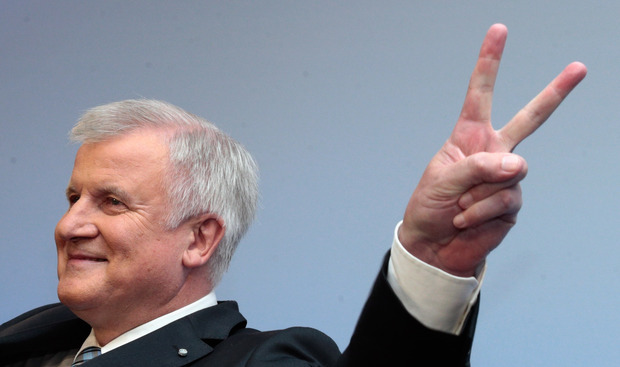 But the Bavarian CSU chief Horst Seehofer now holds the reins in the current crisis, for at any time he can split his party off from the Grand Coalition formed by the CDU and SPD. The shift to the right in Europe passes through the Christian Conservative Party. He’d give the chancellor a week, so it’s said, to shift her direction; otherwise it’s quitting time. And so transit zones are a possibility on the table being discussed by the European side, made to look like it’s a product European common action rather than the dictum of the Bavarian National Party. That will not be enough, because still up to 10,000 people are coming to the Free State daily. And so it’s by the grace of Mr. Erdogan and Mr. Seehofer that Angela Merkel is the Chancellor of the Federal Republic of Germany. The chancellor has also come under fire from parts of the general public, for which she only has herself to thank, when she made the crucial mistake of coming on Anne Will’s TV show to clarify her government’s line: a state that cannot define its borders and therefore cannot protect them is a failed state. The chancellor’s statements were accordingly not wrongly understood as the self-capitulation of the Federal Republic. This assessment has shocked conservatives, and those who want to help the refugees increasingly feel that their private and charitable commitments cannot count on the organized and structured assistance from the German State. Progressive Germans believe that the lack of state assistance is not merely due to ineptitude, but is actually designed to work as a preventative measure, to ensure the status quo is to be maintained. The atmosphere is more than charged in the country, and right wing groups are gaining further momentum. In this complex situation anything is possible; Merkel’s chancellorship hangs by a thread.